Volunteers and Watertown City Planner Michael DeMarco (holding stakes) plant a bare root dawn redwood (Metasequoia glyptostroboides) in Cosgrove-Sherman St. Park. 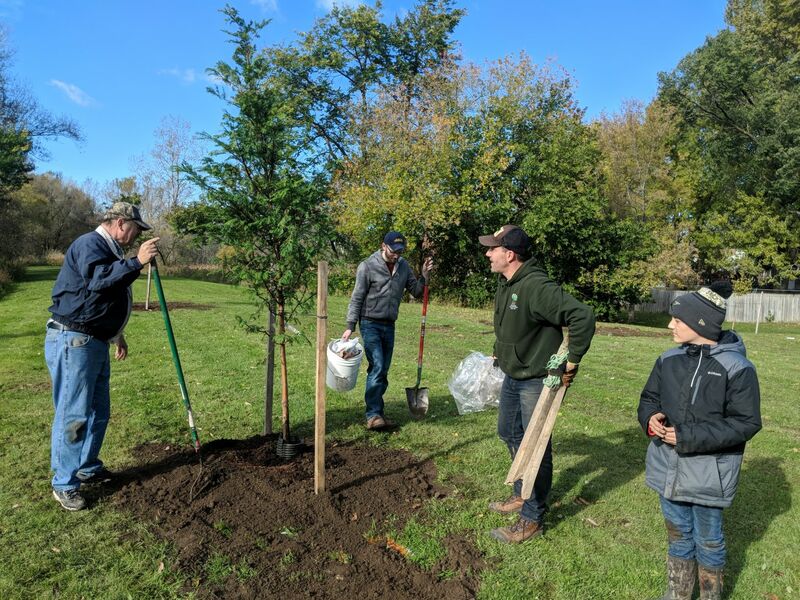 October 20, 2018 marked the City of Watertown’s 17th Annual Fall Tree Planting event co-sponsored by the City and Tree Watertown, the City’s street tree advisory board. This year’s event was held at Cosgrove–Sherman St. Park. Historically, this large green space has been used as a sanitary and stormwater sewer corridor, but it is technically categorized as a municipal park.